Impression Healthcare Limited (ASX:IHL), Australia’s largest home dental impression company, has today announced that it has executed a memorandum of understanding (MoU) with the National Rugby League (NRL). The MoU centres on IHL’s flagship brand, Gameday International Pty Ltd, which is now becoming an official licensee of the NRL. This deal signifies a major brand development and marketing opportunity for Gameday, and provides a high-impact opportunity for IHL to collaborate with a leading Australian sporting league. The MoU crystallises the supply and distribution of Gameday Mouthguards, incorporated with the 16 NRL club logos, marks and language, within Australia and New Zealand. Gameday will have the right to distribute NRL licensed Gameday products through retail sporting stores, sporting clubs, pharmacies, and certain independent stores, as well as online. A joint marketing fund with the NRL will be established to conduct an integrated PR and marketing plan, and will be allocated towards covering the cost of marketing materials, including in-store props and stands. Gameday makes custom-fitted mouthguards that are cost-effective for everyday Australians, offering an efficient and convenient process in which consumers complete their own dental impressions at home. The MoU, combined with IHL’s high-profile brand ambassadors, will assist the company to amplify brand recognition and sales within the broader rugby league sporting code. The NRL is Australia’s top-level domestic rugby league club competition, comprising 16 professional teams, with one located in New Zealand. It has an expansive media and television network with a reach of more than 112 million in the 2016 season and over 2.3 million followers across the major social media apps. With over 166,000 registered participants playing in some form of rugby Australia-wide in 2016, the size of the market presents a significant opportunity for IHL to further expand its reach into other physically demanding sports where mouthguard usage is essential. However, how much of the market IHL attracts remains to be seen and investors should seek professional financial advice if considering this stock for their portfolio. The MoU also validates the quality of the product, as well as interest in the particular business model at work here – that is, whereby the consumer creates their own impression, without the need for a dentist. Gameday’s custom-fitted mouthguards are made by qualified dental technicians in Victoria, and protect the wearer from dental trauma and other serious injuries. 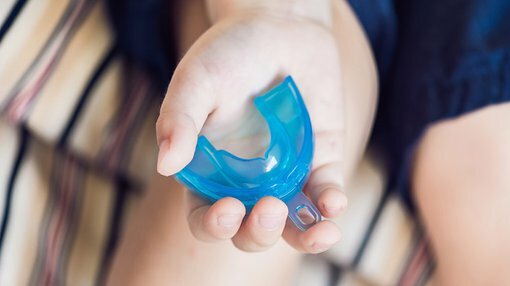 Mouthguards that are fitted properly with a custom impression spread the impact of a collision, and are considered by dental associations to be a safer alternative to over-the-counter products that are loosely fitted and impede breathing and speaking. IHL and Gameday are in advanced negotiations with the NRL to finalise a legally binding agreement, with the aim to execute formal documentation prior to the commencement of the rugby pre-season games. Under the terms of the agreement, Gameday will pay the NRL a 15% royalty on net wholesale sales and an additional 3% for the use of club logos on all licensed products. The Gameday Mouthguard products are included on the register of the Therapeutic Goods Administration.